Emaginationz, Mobile Application Development Company based in Mumbai and providing services in all over the globe. 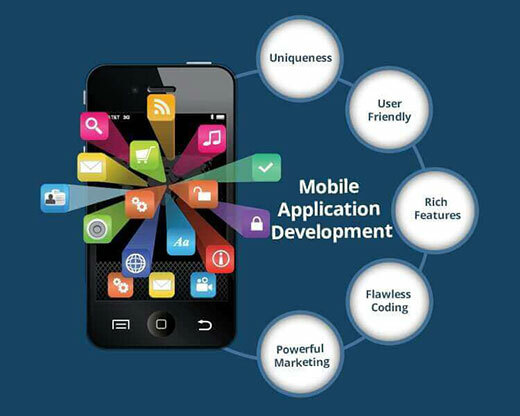 Our mobile application development skills are known and acclaimed. Being one among the top mobile application development company in Mumbai, our mobility solutions empower startups, Entrepreneurs and SMEs to use the most out of it. The customer driven androids and iPhone application development solutions help businesses overcome digital transformation challenges & channelize their work forms, improve user experience, brand engagement, increase conversion rate and ROI, our hands on experiences with hybrid mobile application development technologies backed by expert developers. Check out our Portfolio to know about our live development process and have some of the top mobile application development works of Emaginationz. Our team of mobility experts at Emaginationz will study the scope and the lifecycle of each of projects, examine your competitors and targeted audiences to design an effective mobility solution. The experienced mobility consultants at Emaginationz can design a series of innovative applications and tools to provide users with a positive User Interface and Experience, ensuring ease of use and accessibility. We help clients meet user expectations with seamless application migration, upgrades and blend it with existing systems. testing will play an important role as they will enable clients to fine-tune their applications at an early stage. We understand you and help you to achieve your corporate goal wherever you are. Our team of Mobile application development specialists produce economical and effective solutions through industry standard techniques.